Hennessy needed to redefine itself to a younger audience without losing its established base. Using Out-Of-Home media formats, this leading brand was able to create multiple touchpoints to educate consumers about the product. Hennessy is the #1 selling Cognac brand in the US. However, over the last few years sales have plateaued for both Hennessy and the Cognac category due to the rise of premium spirits products targeting this same core consumer. As the Hennessy drinker ages, the brand is faced with the challenge of maintaining the loyalty of its core consumers while also recruiting a younger target, and keeping the brand relevant to both. Hennessy was looking to re-position the brand. The company developed the “Never Stop. Never Settle.” mantra as an emblem of the success the brand has achieved and its commitment not to rest on its laurels. The Wild Rabbit device was created to further illustrate this concept, representing the spirit to strive for excellence. It is dark, elusive, and deeply personal yet universal in that everyone has a Wild Rabbit that they are chasing. A variety of creative executions were developed to bring the campaign to life. 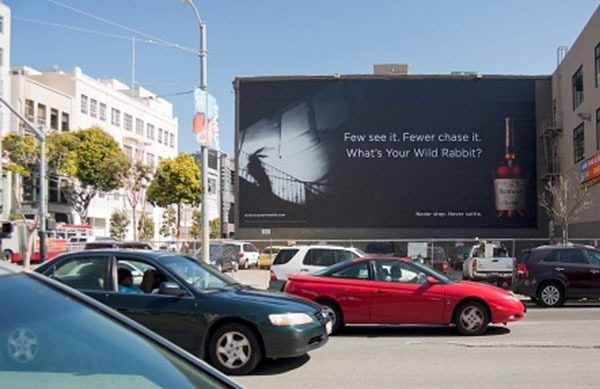 However, given the esoteric nature of the Wild Rabbit concept, it was necessary to develop a multi-media plan that focused on campaign comprehension as well as brand awareness. The agency led the charge in working to develop a strategy to support the new brand. 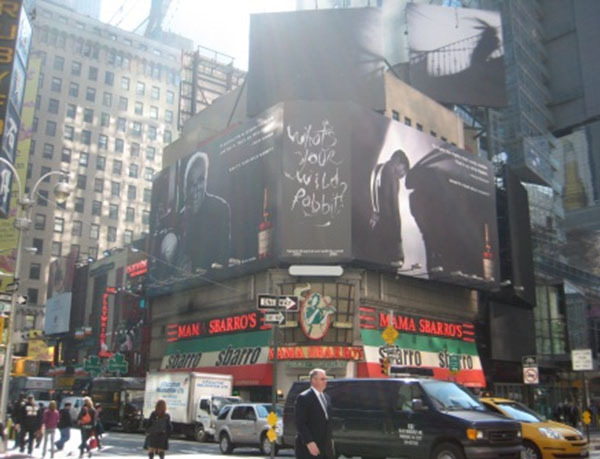 TV was introduced to take over the former role of OOH in creating a mass awareness for Hennessy. 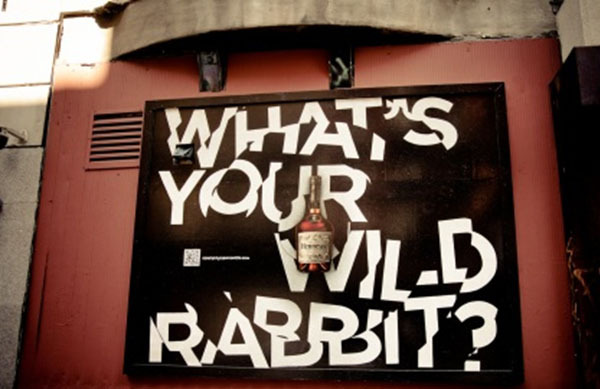 As a result, the team was challenged to identify a new role for OOH and how it could support Hennessy in educating consumers about the new brand concept. This was a major shift in the role of OOH – going from a low CPM/high frequency format to a hand-selected format primed for consumer connection. The priority was to use quality OOH vehicles that resonated with the more mature core consumer yet still provided effective reach of the younger “tastemaker” target. The campaign needed to retain the existing Hennessey loyalists while recruiting a broader range of new consumers to defend market share in major cities across the U.S. The campaign strategy was to use high impact, innovative, first-to-market OOH opportunities alongside broad reach vehicles at key target locations to tease, re-introduce and generate intrigue in the Hennessy celebrity stories while driving volume increases at local clubs, interactions with the brand and earned media surrounding the new Hennessy brand. 1. The Teaser was designed to generate local buzz and earned media surrounding Hennessy’s new product and make consumers want to learn more about the brand’s campaign. 2. The Launch provided consumers with information on the new product and satisfied their intrigue from the teaser campaign. 3. The Holiday flight would reinforce the new brand messaging and evoke an emotional reaction to the ‘Wild Rabbit’ story told through the Teaser and Launch. The Launch strategy was to reach consumers at multiple times in their daily routine, giving them the opportunity to learn more about the product at key touch points. The creative used more detailed imagery so consumers would align what they saw in the teaser with the story now unfolding. Given the detailed nature of the creative and the depth of the stories, areas and formats that allowed for multiple creative executions were of utmost importance. A first-to-market opportunity, “projection shelters,” allowed for the perfect alignment of messaging and aesthetics, allowing Hennessey to use shadows to convey the darker tone of the campaign. Altogether, the campaign achieved all five objectives. It drove campaign comprehension, selecting multiple units within each neighborhood to offer the opportunity for one consumer to view multiple creative executions. Ads were focused on nightlife neighborhoods in the key influencer markets to support on-premise activation. To increase creative impact, OOH dominations were developed by combining eye-level & large scale formats. Premium units were identified to engage the consumer within each market and create buzz among the new consumers to build the brand image. And finally, unique and creative OOH formats were efficiently used to tease the campaign and create intrigue. The full year 2012 campaign achieved unprecedented levels of reach and frequency for the brand. Hennessy V.S. 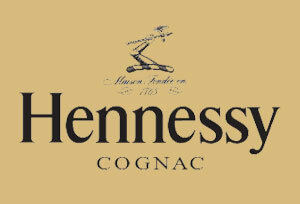 sales are up 7.5% and total Hennessy sales are up 5% YTD, despite a March retail price increase.